Republican presidential candidate Donald Trump announced at a fundraiser Thursday night that Marvel Entertainment CEO Ike Perlmutter would donate $1 million US to his charitable foundation, and comic book fans took to Twitter in reaction. Trump held what his team called a "special event to benefit veterans' organizations" at Drake University in Iowa, near where the rest of the Republican front-runners held a debate hosted by Fox News. Trump had boycotted the debate as a result of his escalating feud with the news channel. In announcing the donation, Trump called Perlmutter, "one of the great, great men of our country in terms of business and talent." A representative for Perlumtter said, "The Perlmutters are thrilled to support their friend Donald Trump in his efforts to help veterans," reported The Hollywood Reporter. The New York Times reported that Perlmutter's wife, Laura, donated $2 million to Marco Rubio's campaign. On Twitter, reaction to the announcement came quickly. The donation had its detractors, like filmmaker Michael Moore. The comics are all "hey here's diverse characters and some political commentary" but the CEO supports the mass deportation candidate?! So Marvel's CEO donates a million to Trump. Tell me again how there's no money in comics. Why is the CEO of Marvel supporting a super-villain? The CEO of Marvel just gave Trump a million dollars. Excuse me while I go burn everything I own of theirs. You wonder why <a href="https://twitter.com/Marvel">@Marvel</a> is bad with representation? Their CEO donated a million to Trump. End of story. Resign. As a Mexican American whose parents immigrated to the US from Mexico, I am very hurt to see Marvel's CEO donate $1,000,000 to Trump. <a href="https://twitter.com/MMFlint">@MMFlint</a> Awww, that's not fair. A lot of people work for Marvel. <a href="https://twitter.com/Thesixler">@Thesixler</a> Not buying a movie ticket because a CEO donated money to a veterans charity is not "heroic", it's pointless. Leave it to liberals + <a href="https://twitter.com/hashtag/Trump?src=hash">#Trump</a> haters to be upset because <a href="https://twitter.com/Marvel">@Marvel</a> CEO donated $1M to <a href="https://twitter.com/hashtag/Trump4Vets?src=hash">#Trump4Vets</a>. I guess we know who supports our <a href="https://twitter.com/hashtag/vets?src=hash">#vets</a>. A report in Forbes magazine in December found that about 1% of the foundation's contributions were to organizations that directly benefit military veterans. 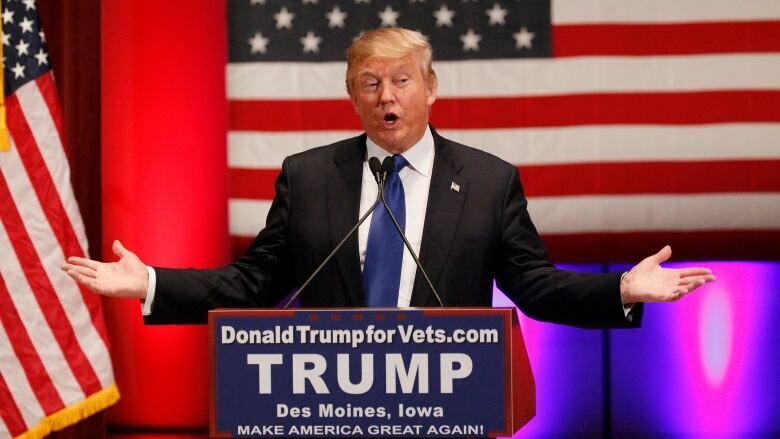 Will Donald Trump's Iowa debate boycott help or hurt him?